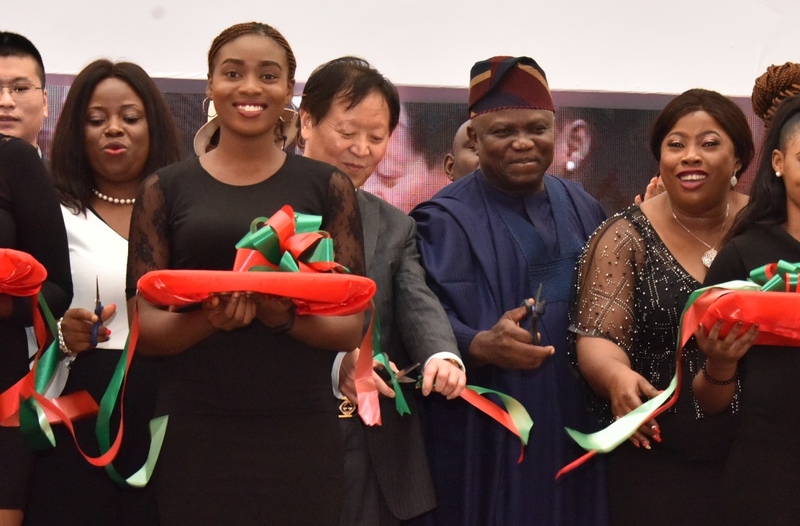 Lagos State Governor, Mr. Akinwunmi Ambode (2nd right); Chairman, Longrich Group, Mr. Xu Zhi Wei (middle); Director, Longrich, Mrs Titi Ejimagwa(right) and Eko Hotel, 4 Star Director, Mrs Oluchi Abraham (left) during the pre-launching of the Longrich manufacturing plant in Lekki Free Zone, Lagos, on Sunday, April 7, 2019. 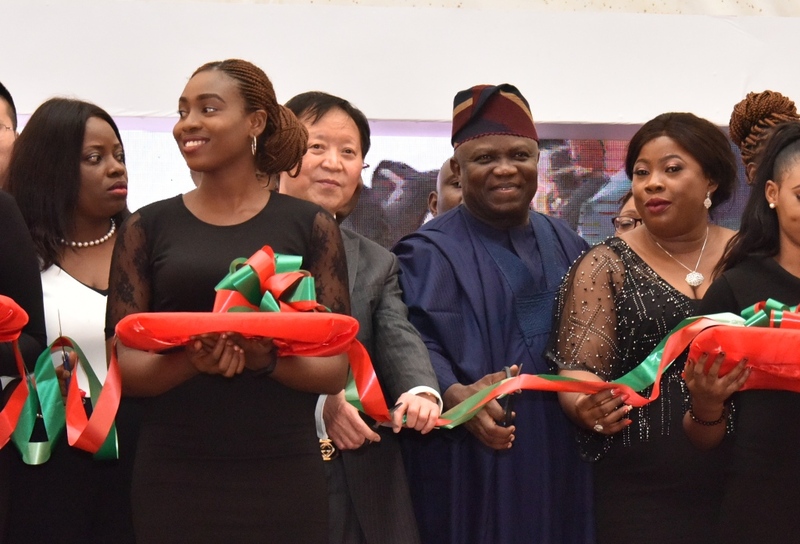 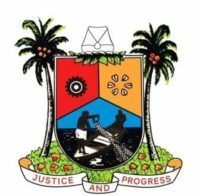 Lagos State Governor, Mr. Akinwunmi Ambode (2nd left); Commissioner for Commerce, Industry & Cooperatives, Mrs olayinka Oladunjoye (left); Chairman, Longrich Group, Mr. Xu Zhi Wei (2nd right) and Managing Director, Lekki Free Zone Development Company, Mr. Huang Xi (right) during the pre-launching of the Longrich manufacturing plant in Lekki Free Zone, Lagos, on Sunday, April 7, 2019. 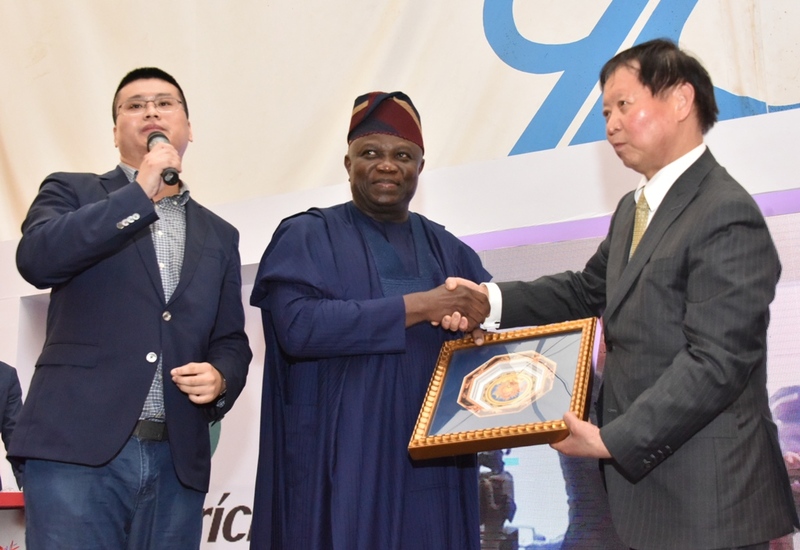 Lagos State Governor, Mr. Akinwunmi Ambode (middle), being presented with a souvenir by the Chairman, Longrich Group, Mr. Xu Zhi Wei (right) during the pre-launching of the Longrich manufacturing plant in Lekki Free Zone, Lagos, on Sunday, April 7, 2019. 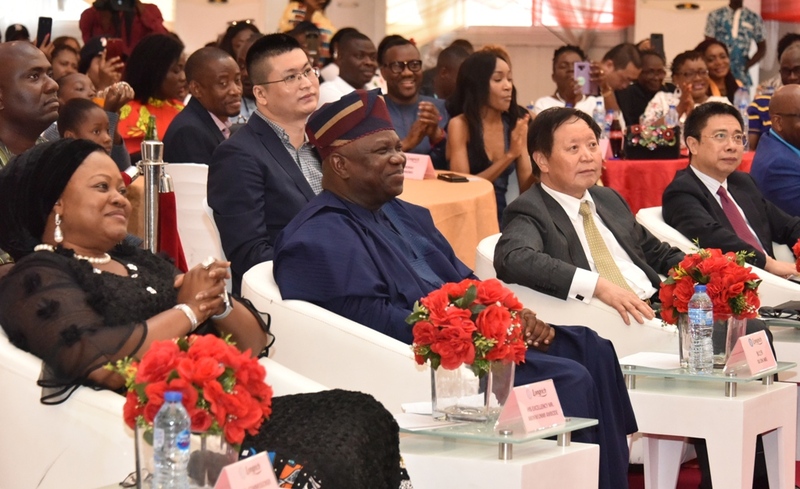 With them is a top official of the company, Mr. Alex Jia (left).